If you are planning to travel as a group, Maitria Hotel Sukhumvit 18 aims to provide comfortable and affordable accommodation for all kinds of travellers including families. Our newly refurbished Triple Rooms are beautifully decorated with a view looking over Bangkok city. There is also a full range of amenities as well as an integrated bedroom and kitchenette; making it the perfect lodging in which to relax and unwind. This spacious 34 square meter room can easily accommodate three with 3 separate single beds providing the utmost in comfort and convenience for you to stay in a place where you can experience and share precious moments. Just step out the door and you’ll be able to access BTS Skytrain station Asoke and MRT station Sukhumvit. From here you can easily connect to the rest of the city where you’ll find shopping malls, local street food, international fine dining and lots of fantastic attractions. 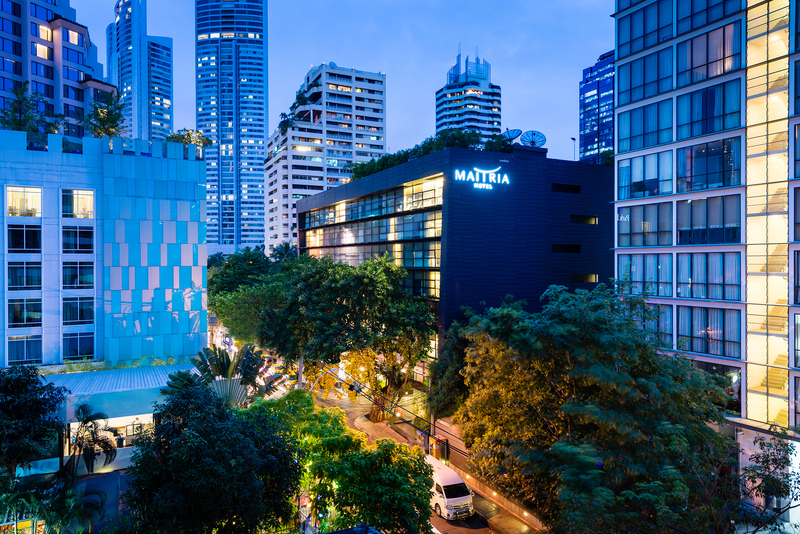 You’re really in the heart of the city with Maitria. Every room will feature its own free Handy Phone smartphone allowing you to make unlimited local and international calls with unlimited internet access. To ensure a longer phone charge when you are travelling, we also provide a Power Bank for you to borrow at the reception counter (Subject to availability). 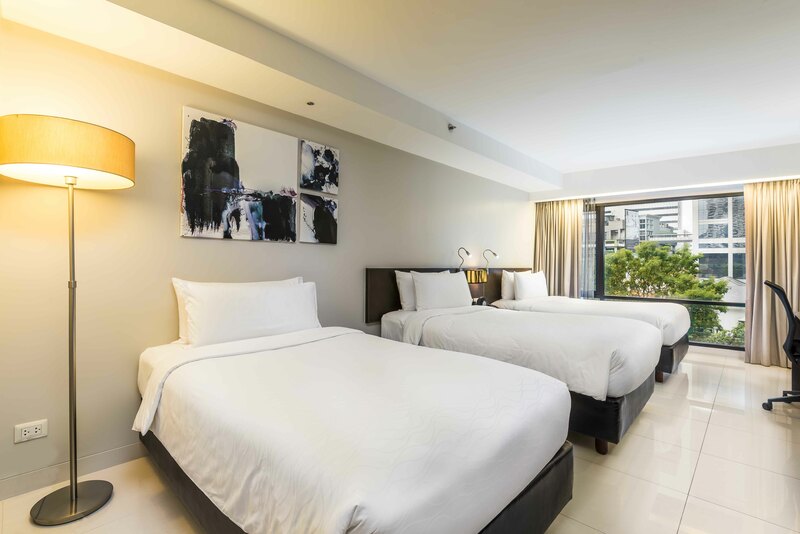 Our triple rooms will be a comfy solution if there are three of you on holiday and will absolutely be ideal for sharing while you and your family or friends explore Bangkok. They are the perfect choice if you are travelling with your family.